You are here: Home / Apple Inc / Should I Buy a Refurbished Mac? Apple is well known for producing expensive products. Part of it is brand recognition, part of it is market forces, and part of it is reputation. If you want an Apple device, you’ll likely need to spend some money. But you can get what is essentially a new device for at least fifteen percent less than sticker price by buying a refurbished Mac. 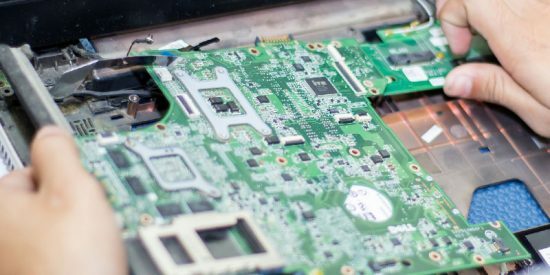 Refurbished electronics are a great way to get a fully functional device while saving some serious dough. The word “refurbished” is defined in different ways by different manufacturers and refurbishers, but the basic idea is always the same. Refurbished electronics have been repaired and tested and are now “like new.” However, since they’re not actually new, manufacturers are generally willing to let the product go at a lower price. Generally, refurbished devices broke within the warranty period. The manufacturer replaces a consumer’s broken device with a new one, then fixes the damaged device. 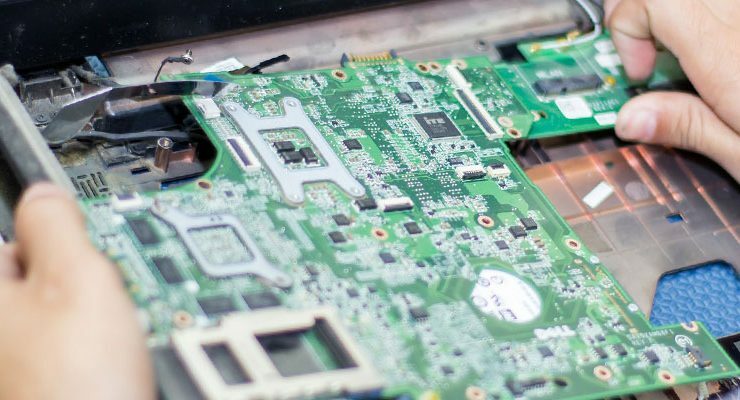 The big questions about refurbished devices are “How broken was it?” and “Was it repaired well?” The answer to those questions can vary dramatically by manufacturer and device. It also depends on how the device was manufactured and what kind of inspection it got after refurbishment. For some products, this process is fairly rudimentary, requiring only a quick once over to make sure it looks functional. Products with mechanical parts, like mice, are especially notorious for this, generally failing far more rapidly than their new counterparts. Some sellers will also do the bare minimum required to get a device to turn on, call it refurbished, and sell it on eBay with no warranty. These sales are one step above an outright scam and give an undeservedly terrible reputation to all refurbished products. How Does Apple Refurbish Products? Refurbished Apple products, however, generally must meet a higher standard. Products that are refurbished by Apple itself are typically indistinguishable from new products. Apple uses a certification process that ensures full functionality and cosmetic perfection. iOS products get a new outer shell and a fresh battery. All products refurbished by Apple come with the same 1-year warranty offered on their new products. If you buy a refurbished Mac, it will have either been defective, returned or recycled. Defective devices had some kind of repairable flaw, like a bad SSD or graphics processor. Returned items are just what they sound like: used by a customer for a while, then returned to Apple. Recycled products are typically older devices that have been given back to Apple to dispose of. If the device still has some useful life left, Apple might sell it instead of disposing of it. Most refurbished Apple products likely had little to nothing wrong with them to begin with. Considering how quick Apple is to replace even a slightly underperforming device with a brand new version, refurbished Macs and iPhones sometimes had almost nothing wrong with them. The discount, however, is generally in line with this. Most devices come with about a fifteen-percent discount off the brand new price. As a result, you might save a couple hundred dollars off the sticker price on a refurbished Mac, but you won’t get the fifty-percent discount you might find in computer accessories or small electronics. Products refurbished by Apple are effectively identical to new products. They are cosmetically and functionally the same. Manuals, paperwork, and accessories are included. They include the same warranty and the same reliability metrics. You might say that they’re in fact less likely to break: any components that were going to break early have already done so. Take, for example, the bathtub curve of electronics reliability. Devices are most likely to break in the first couple months of operating. If they don’t break in that time, they’ll generally last for the next several years. If you get an officially refurbished product, the only difference will be the packaging. 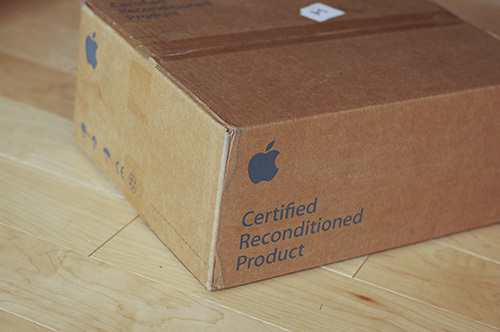 A refurbished product comes in a white box with “Apple Refurbished” printed on the side. Apple isn’t the only company that offers refurbished Apple products for sale. 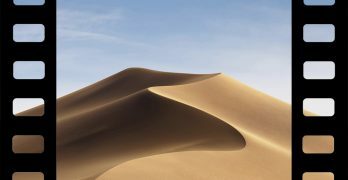 Various third-party refurbishers also fix and sell Apple products, and often provide cheaper refurbished Macs that Apple itself. While there are many high-quality third-party refurbishers, it’s important to do your research: stock, quality, warranty, and repair policies can vary dramatically between refurbishers. Make sure you’re working with a trusted third party refurbisher to avoid an unpleasant experience. If you’re interested in buying a refurbished Mac from Apple or a third-party refurbisher, check out an aggregation site like RefurbMe. 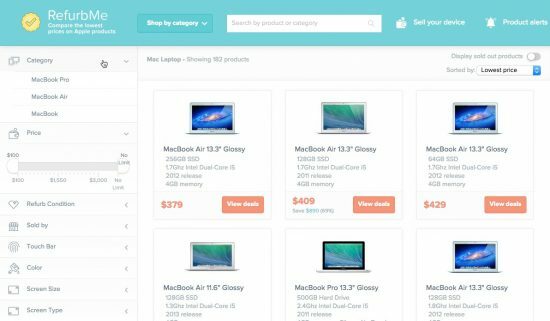 This site tracks deals on refurbished Apple products from Apple itself and third-party refurbishers. 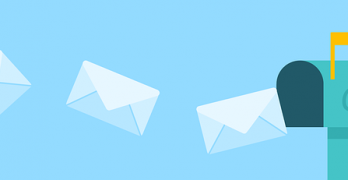 You can also sign up for notifications about newly-available refurbished Macs that fit your needs so you can jump on new bargains. If you’re interested in buying a refurbished Mac, you’ll need to stay on top of the frequently changing inventory. That, and you’ll need to wait a few months after the launch of a new product to actually see refurbished inventory popping up. As refurbished inventory fluctuate, you can use a refurbished products comparison website, RefurbMe, to browse deals from different certified refurbishers, and set up alerts when a device matching your specifications is available for sale. How Much Are Vintage Apple Products Worth?